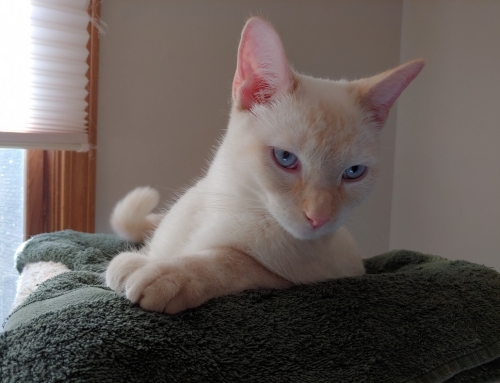 Nathan is a gorgeous Flame Point Siamese. He is 2 years old, neutered, and has all his claws. Nathan has a gorgeous coat and stunning blue eyes. He is an average sized boy weighing in at 9 pounds. Nathan is being fostered in Madison, WI. This handsome boy came from a home that had a lot of other cats. When he got to foster, he was immediately confident and excited to have a space of his own. 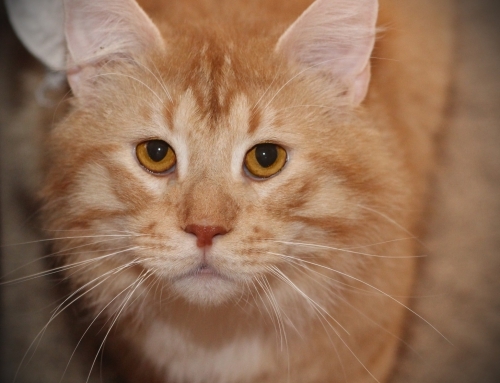 Nathan gets along great with other cats and would likely be fine in a home with dogs that won’t chase him. Nathan would also be fine with children that are gentle with cats. This boy has perfect litter box manners, he also is very good about using his scratching posts, and he loves his cat tower in his foster home. He loves cubbies that he can nap in, but as soon as you enter the room, he will be by your side. Nathan loves to play, he likes “da bird” wand toy and will chase it around. He also really loves the laser light and he has recently discovered a love for catnip. Nathan is a sweetheart that enjoys human attention and companionship but will also be fine alone during the day if you are off to work. When Nathan was brought to the vet for the first time in foster care, he jumped out of the carrier and immediately explored his new surroundings. He then plopped himself down at his foster moms feet and began to roll over and beg for belly rubs. This sweet boy is very gentle and actually enjoys his stomach pet (which is not super common with cats!) He then introduced himself to all the Vet Techs and the Vet as each person meant more chances for cuddles! 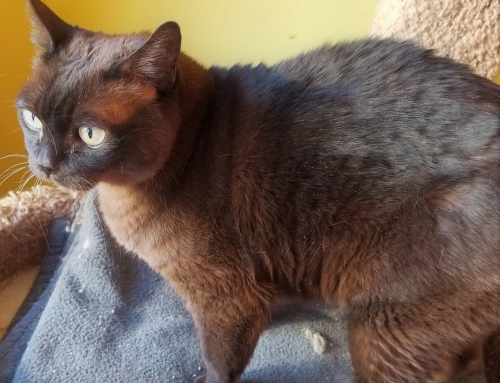 In new situations, Nathan can be a bit chatty (as he wants you to know what he is thinking apparently), but once he is settled, he is a pretty quiet boy. 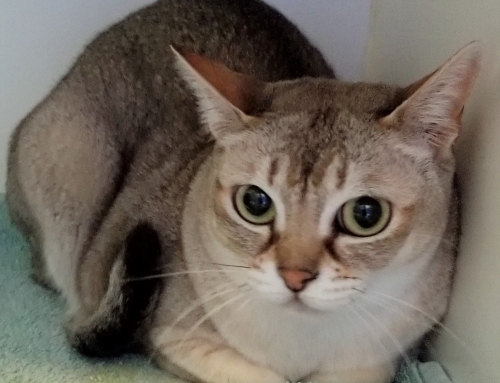 He knows how to keep himself entertained by running up and down cat towers and smacking toys around (when he is full of beans – normally he is pretty laid back and can just be found napping. But when he plays hard, it is pretty adorable!) He also very much enjoys when we hide treats around his room for him to find, or give him a treat ball to knock around to get treats out of. He is a very clever boy. If you are looking for a gorgeous companion that likes to hang around his people, look no further. This boy is even more stunning in person and is excited to find a forever home of his own where he can have humans to love on! ADOPTION FEE $175. FOSTERED IN MADISON, WI.